Morris County is asking the U.S. Supreme Court to determine whether excluding religious institutions from receiving taxpayer funds as part of a historic preservation program conflicts with the Supreme Court’s decision in Trinity Lutheran v. Comer and the First Amendment’s Free Exercise Clause. In 2002, the voters of Morris County authorized the County Freeholder Board to permit historic preservation funding under a trust funded by a county property tax. From 2012 to 2015, the Freeholder Board approved a total of $11,112,370 in grants from the trust fund, over $4.5 million of which went to 12 churches. All 12 churches “have active congregations” and all “have conducted regular worship services in one or more of the structures” for which grant funds have been or will be used. Moreover, several successful applicants specifically stated that the funds would be used for religious purposes. For example, one successful application explained that a grant would “historically preserve the building allowing its continued use by our congregation for worship services as well as by the community.” Applicants were also determined to have used the funds to restore religious imagery or provide roofing repairs in places of worship. The Court further held that the Religious Aid Clause does not conflict with the Free Exercise Clause or Trinity Lutheran Church of Columbia, Inc. v. Comer, 582 U.S. ___, 137 S. Ct. 2012 (2017), because the churches would not be denied a grant simply due to their religious status. Rather, the churches would be denied the government benefit because the funds awarded would be used for religious purposes. As mentioned above, several successful applicants used the funds to repair roofing in areas of worship and to restore religious imagery. The Court distinguished these types of uses from playground resurfacing, which was held in Trinity Lutheranto be a permissible use. Justice Lee Solomonwrote a separate concurring opinion arguing that the Religious Aid Clause can’t categorically bar churches with active congregations from receiving funds that promote a substantial government purpose, such as historic preservation. According to Justice Solomon, such a blanket exclusion violates the Free Exercise Clause and Trinity Lutheran. He further argued that had Morris County’s program been applied in a fundamentally neutral manner, the Religious Aid Clause could not bar funding to an otherwise qualified religious institution. Whether the categorical exclusion of all active houses of worship from historic preservation grants violates Trinity Lutheran and the First Amendment as an exclusion based on religious status. As highlighted in the petition, the lower courts are split on the issue. In addition to the Supreme Court of New Jersey, the Massachusetts Supreme Judicial Court has also upheld religious exclusions from historic grant programs, concluding that using funds to repair or restore the exterior of a house of worship is a religious use. The Supreme Court of Vermont and the United States Court of Appeals for the Sixth Circuit have held that such an exclusion would conflict with Trinity Lutheran and violate the Free Exercise Clause by denying a public benefit to an otherwise eligible entity because it is religious. 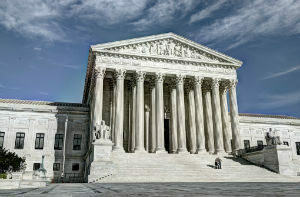 The U.S. Supreme Court must now decide whether to grant the petition. While the Justices grant a very small percentage of petitions, the Court did acknowledge in Trinity Lutheran that issues were left open. For more information about the Freedom from Religion Foundation v. Morris County Board of Chosen Freeholders or the legal issues involved, we encourage you to contact a member of Scarinci Hollenbeck’s Government Law Group.